All Sierra Verde homes currently listed for sale in Surprise as of 04/23/2019 are shown below. You can change the search criteria at any time by pressing the 'Change Search' button below. 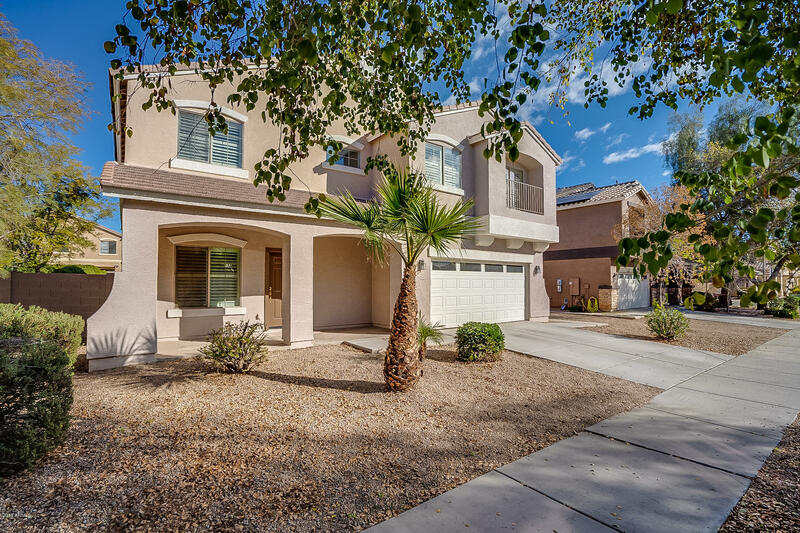 "Move-in ready home in Surprise. This beautiful 5 bedroom home in the Sierra Verde subdivision has been recently refreshed: new paint, carpet and backyard re-landscaped. Kitchen has lots of tiled counter space: island, backsplash and gas oven. Game room upstairs could be den or playroom.Secondary rooms are spacious. Huge backyard with covered patio. This home checks all of the boxes - call today to schedule a private tour."